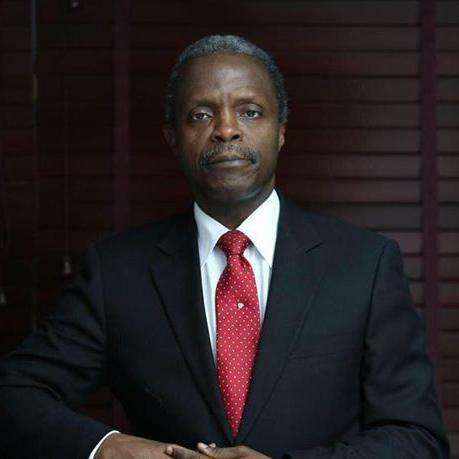 Vice President Yemi Osinbajo has revealed how God revealed to him how Nigeria would escape the hard times. Speaking during the thanksgiving service at the Olive Tree Parish of the Redeemed Christian Church of God (RCCG) in Lagos, Osinbajo asked the congregation if they knew that God made a promise to the nation which was that the nation would be great and made the same promise to them as individuals. According to him, a lot of people were confused and asking if the promise would ever come true. Osinbajo recalled that while he was praying recently, the Lord reminded him of something he asked him to do on the eve of the 2015 Presidential election. He said that God asked him to take the communion because he was crossing over and when he did (take the communion) He took him through the journey from Egypt to the Promised Land.He said God reminded him of what happened in that journey. He added that the first thing that happened was that God himself said if he took the children of Israel through the path where the Philistines lived, they would be afraid and would be asked to return to Egypt.He said that God rather took the people through the Red Sea. Osinbajo explained that by the time they were about crossing the sea, there was a fight back from where they were coming from as Pharoah chased them and wanted to bring them back. He said the incident got Moses confused as he did not know what to do as God never told him there would be a Red Sea, a difficulty, in the journey.The vice president added that if God was with us, no one would be against us. “The reason I, Yemi Osinbajo, without asking for a position, was given the vice presidency of this nation is because God’s hand is in this business. “And so, I am completely confident that despite where we are today, it is the dawn of a new beginning. Osinbajo said that the role of Christians as spiritual people was not to grumble, adding that Christians had been trained to be steadfast in times of difficulty.